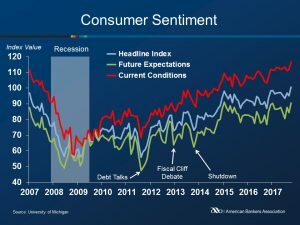 Consumer Sentiment jumped 5.6 points in October to 100.7, according to the University of Michigan Consumer Sentiment Index. Last month’s figure is 15.5% higher than the October 2016 index. The Current Economic Conditions Index grew 4.8 point to 116.5, 12.9% higher than the October 2016 estimate. 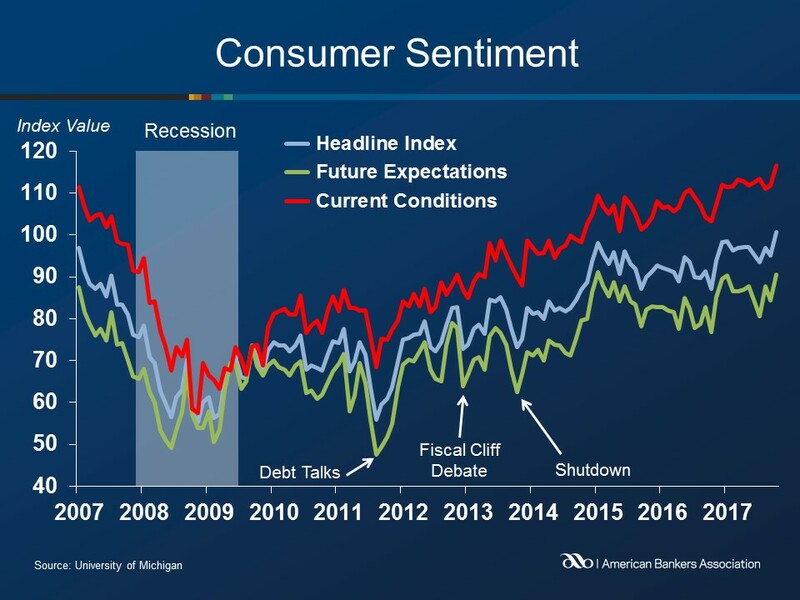 The Consumer Expectations Index increased 6.1 points to 90.5, 17.8% higher than a year ago.